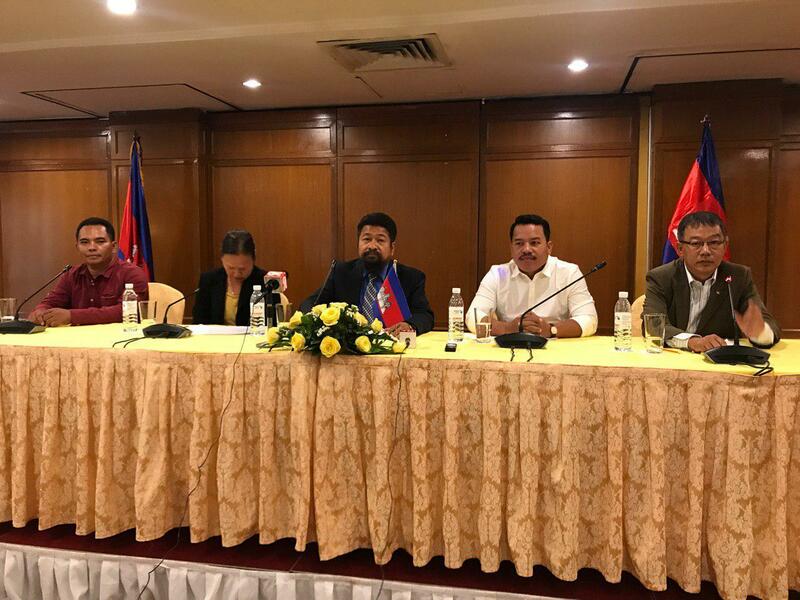 Phnom Penh (FN), March 25 – Former lawmaker of the dissolved opposition Cambodia National Rescue Party Ou Chanroth said his former leader’s accusation and defamation against him and his accomplices caused “pain” and social disunity, speaking in a press conference in Sunway Hotel on Monday. Former opposition leader in exile Sam Rainsy continuously slammed his former associates for requesting to re-enter politics. Rainsy accused them of defecting to the ruling CPP. “We are not goods for trade. Please stop,” he urged on behalf of the other four members. Sam Rainsy spoke ill of Ou Chanroth and other leaders and members. At a time when CNRP President Kem Sokha has not been released, the handful (less than five percent of a total of 118) of CNRP officials who ask Hun Sen to "rehabilitate" considered defected to Hun Sen, according to Sam Rainsy Facebook 17 March. “In a near future, under international pressure, Hun Sen will be forced to release Kem Sokha and to reinstate the CNRP. Therefore, all dignified CNRP officials should refrain from selling out to Hun Sen,” Rainsy added. It is worth noting that 118 of former CNRP officials were banned from engaging in political activities for five years when the Supreme Court dissolved the CNRP on 16 November 2017 for “attempting to overthrow the government through a colour revolution”. The amended Article 45 of law on political party stipulated that “Individual whom the court banned from doing political activities could not create a new party, or participate in any other political parties, or be a candidate for others to vote, or do any activities to support or oppose other parties. The law added that "the banned individual will receive absolute rights to legally participate in political activities when banning expired as determined by the Supreme Court’s verdict, or in the case that individual has been rehabilitated by His Majesty King." 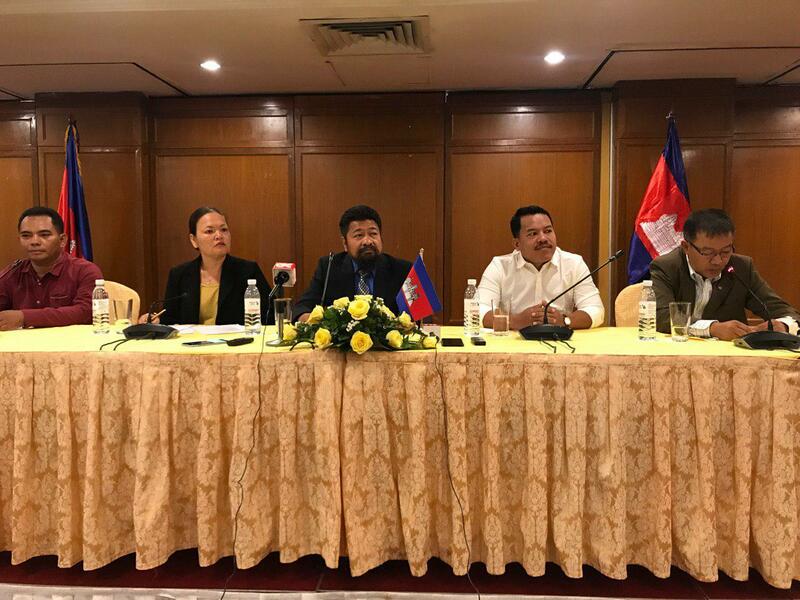 As of 19 March 2019, nine of the banned politicians were rehabilitated, including former top advisor Kong Korm and lawmaker Kong Bora, rehabilitated on 15 January 2019; opposition member Sim Sovanny, known as Sim Vanny, rehabilitated on 2 March 2019; former Svay Rieng representative Real Khemarin on 18 March; former CNRP lawmakers Ou Chanrath, Kang Kimhak, Chiv Kakta, Tep Sothy, and former party board member Chan Seila were rehabilitated on 19 March. Sam Rainsy also accused the CPP of buying his former associates with USD 100,000-200,000 to re-enter politics, and those who could lure the next one to do so would receive USD 20,000-30,000 as bonuses. Prime Minister, in response, taunted Sam Rainsy for considering his former associates “goods” for trade. Premier Hun Sen requested Rainsy to stop insult and defame his former associates; and that he respected the decision of everyone, particularly the freedom of people regardless of political background.